The Italian studio Metrica has earned an international reputation for their unique approach to furniture design, which is marked by an Italian touch and supported by R&D activities on materials and processes. 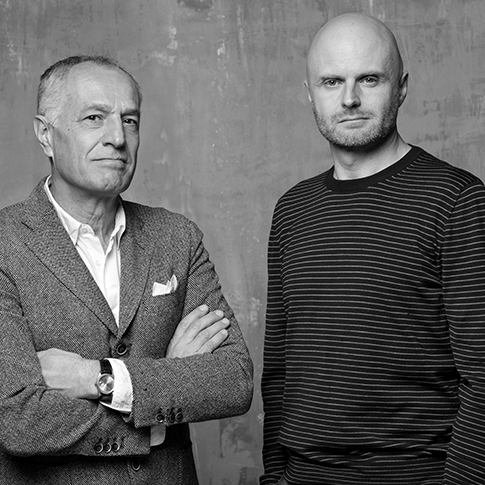 The group is lead by Robin Rizzini (Chief Designer, whose extensive experience includes working with luminary Antonio Citterio for 6 years) and Lucio Quinzio Leonelli (Managing Partner, with broad experience in consumer goods, Nestlè, Smith and Kline, D&C, in merging and acquisition, Opera Private Equity, and in furniture design market Unopiù, B&B Italia, Moooi). Their team includes talented young designers from around the world, who collectively bring an international vision to the designs. The studios combined expertise includes extensive knowledge of both residential and commercial interiors and the demands of furniture in both these environments. Today the studio works with a diverse range of clients including Arper, Extremis, Fendi, MDF Italia, Poliform and Zanotta, and have been recipients of numerous awards including : The German Design Council Interior Innovation Award - Best of Best 2012, The German Design Council Interior Innovation Award Winner 2012/2013, Winner of The Furniture Design Category - Azure Awards 2013 and the XXIII Premio Compasso d'Oro 2014 ADI.